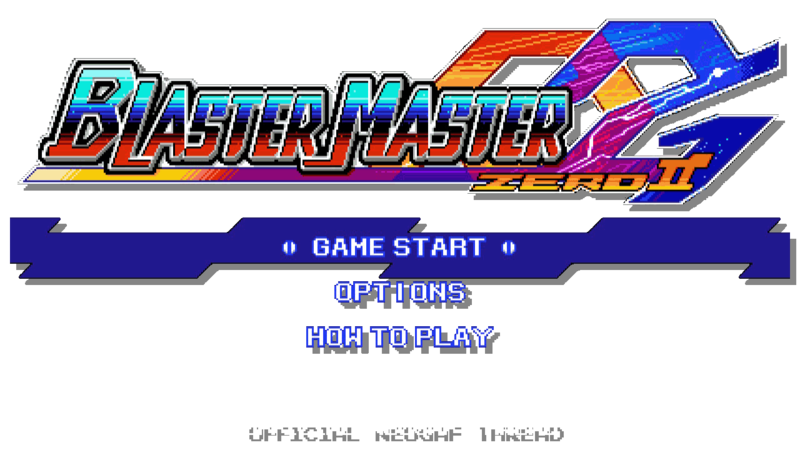 Developed by: Inti Creates Co., LTD.
Blaster Master Zero 2 is a side-scrolling/top-down hybrid action adventure with light metroidvania elements. 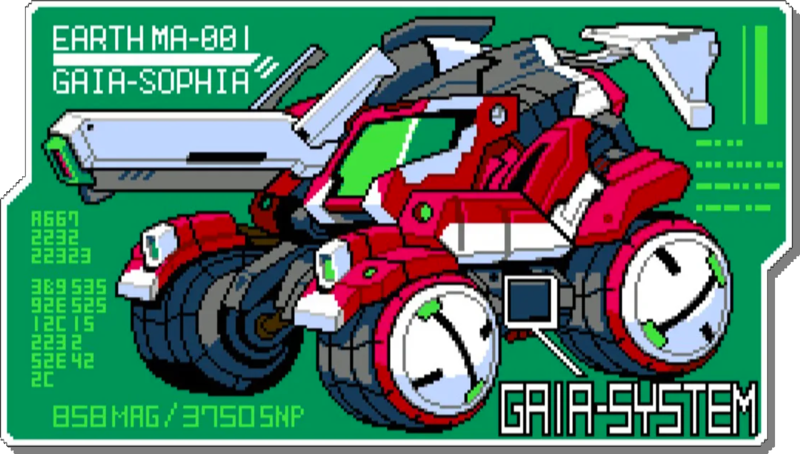 In your G-SOPHIA you’ll crisscross a galaxy of planets both large and small, meeting strange characters, gaining new abilities and fighting challenging mutant bosses. The worlds are more varied than ever and you’ll need to experiment with your weapons and powers to find the most effective combination for each new challenge. I’ve been working my way through BMZ2 for a while and wanting to make a proper OT for it, but my opinion was still in the process of being formed. While I haven’t quite completed the game at the time of this writing, I’m now confident in saying this is one of the coolest games I’ve played all year. 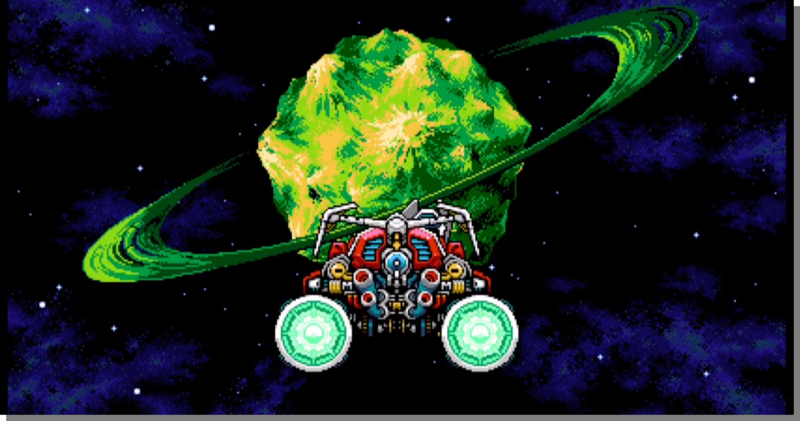 You have a tank (the G-SOPHIA), that also flies through space. You (Jason) can get in and out of the tank at any time. Once outside of your tank, you can enter mini-dungeons which feature a top-down perspective. Both you and your tank can be upgraded with new weapons and abilities. While on foot, you can perform various timed Blast Counters to parry enemy attacks and deal massive damage. You can even chain multiple Counters in succession — and this feels awesome! Weapon balance: In BMZ1, so long as you maintained your blaster at max power, you could steamroll through most of the overhead sections. In BMZ2, the weapons are much more situationally-oriented, and some have cooldowns that discourage over-reliance. World map: BMZ1 featured a variety of areas traversed through simple doorways. In BMZ2 you fly around a galaxy seeking out planets, planetoids and even large ships to explore. Occasionally you’ll want to revisit an earlier planet with abilities found later in the game. Challenge: The game puts up a bit of a fight, especially in boss mutant encounters. You’ll need to experiment with weapon types, employ your sub-weapons and master the Blast Counter to succeed. It’s not Dark Souls, but it’s tough enough to make victory something satisfying. Puzzle-solving: There are some clever little environmental tasks that made me feel very smart (and delighted) when I figured them out. Zaniness: Inti Creates seems to just be having fun with this one. I don’t want to give away too much, but some of the places you visit and characters you meet (generally, other “Metal Attacker” pilots and their companion androids) are quite surprising. Figure out how to use Blast Counters early. The game doesn’t explain this tremendously well, though it’s illustrated in the How to Play section. Start shooting as fast as you can to rack up damage. Enemies will go down very quickly once you get the hang of it, and even bosses will start to crumple before your potency. You can set the left and right triggers to your two favorite powers in G-SOPHIA mode, and also two favorite powers in the overhead mode, as Jason. You can then pop off with your favorite abilities at any time without selecting them first. If a friendly pilot makes a request, don’t assume the relationship ends right when you fulfill it. They may have more for you. For extra RP flavor: talk to your android, Eve, by selecting her from the pause screen. I won this with the true ending not too long ago. I enjoyed it quite a bit. At about 8.5 hours in length, it doesn't outstay its welcome, and it is much more challenging than the first game. I will say that I was disappointed that I couldn't play as the enemy pilots, as they seemed designed for it. They had tanks and one r two had character sprites, and even abilities that looked like something you'd use in the game. You even do missions for them that seem like they should've unlocked them to play as. Maybe they'll add them later, like they added Shantae and Shovel Knight to the first one? I've seen the first game for cheap, do you guys still recommend it or is the second one vastly superior ? Absolutely loved the first game: double-dipped on 3DS and Switch. I'll be picking this up shortly. I enjoyed it a lot. The second improves on it but there are neat abilities and puzzles in the first game that don't appear in the sequel, presumably because Inti didn't want to go back to the same wells. Sure. It's not expensive and it'll last you for about 6 hours. I really enjoyed it. It is a bit simple in some ways (the on foot sections can be kind of bland) and isn't very challenging - both things the sequel improves - but I'm still glad I played it. For $10, you can't go wrong. Thanks, I'll get it. Looks interesting and cheap. I really enjoyed BM0. I’d give it any solid 8. How much bette are you enjoying 2? I honestly didn't know they were making a sequel, let alone that it was already out. Colour me interested- the first Zero game was cool but overstayed its welcome by a stage or two, I thought. It sounds like they've made some improvements and additions this time, so with any luck the pacing will be spot on. As much as I enjoyed the first (I'd agree with 8), I think the sequel is a significantly better game overall. 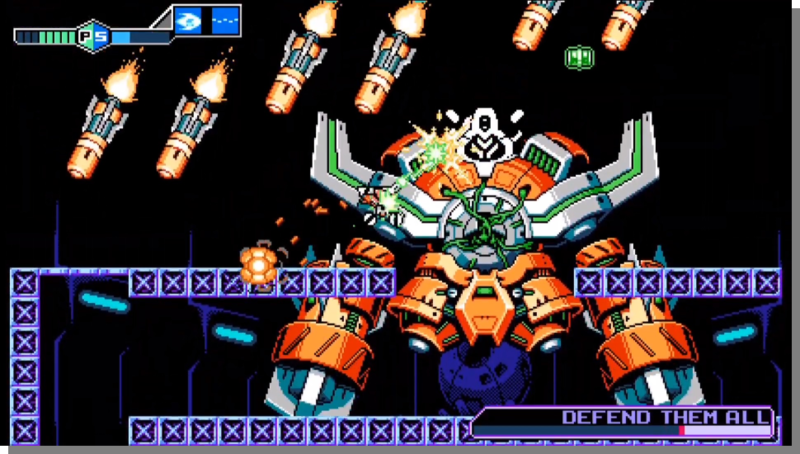 The top-down sections are more interesting to explore and the combat is much more engaging, thanks to the Blast Counter. The tank exploration was the strong point of the original and it's still great here, with some added environmental puzzles that really surprised me. I honestly didn't know they were making a sequel, let alone that it was already out. It was a Nindies shadow drop! It's an objectively better game, but I don't think its nature is changed much. So if you think the first one was an 8, I'd say you'll probably think the second one is also an 8. I thought the true ending was really good though. A bit surprising and mechanically interesting. Definitely a better game though, and if it gets the support the first one had, it could edge up a grade. NIce OT, though it could use more Floooooooooooweeeeeeeeeeer!! I thought about it! Literal melons... oh Inti.